Filming for Miles Ahead began July 14 in Cincinnati, lasting six weeks and covering over 25 locations. The film stars Cheadle as the legendary trumpeter. Ewan McGregor (Big Fish) portrays Dave Brill, a fictitious character described on the festival website as “the ‘reporter’ who cons his way into Miles’ apartment.” Emayatzy Corinealdi (The Middle of Nowhere) portrays Davis’ first wife, Frances Taylor. 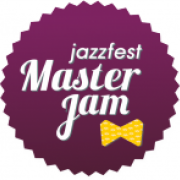 The movie, which was co-written by Cheadle and marks his directorial debut, explores Davis’ “silent” period, the five years of self-imposed isolation between his 1975 appearance at the Newport Jazz Festival and his return to touring in 1981. The plot focuses on Davis and Brill’s attempt to reclaim a recording that was stolen from the trumpet player’s home. 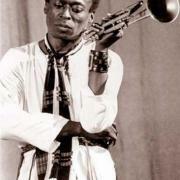 Cheadle, who played saxophone as a high school student in Denver, learned to play trumpet for the role. Cheadle has hired pianist Robert Glasper to score the film, while Herbie Hancock will help supervise the soundtrack. Hancock previously won an Oscar for his 1986 score to the film ’Round Midnight. 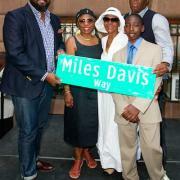 Davis’ son Erin Davis and nephew Vince Wilburn Jr., a drummer, also collaborated on the project. Other biopics being screened at the festival include Robert Zemeckis’ The Walk, about high-wire artist Philippe Petit, and Danny Boyle’s Steve Jobs, starring Michael Fassbender as the titular character.